At Concord Children's Academy, the Pre-Toddler Program is an extension of the Infant Room. Based on Ages and Stages, Pre-Toddler's still need and require lots of one on one attention, love, cuddles and nurturing caregivers. The Pre-Toddler room is an age progression environment from the Infant Room. The babies have more play choices in the Pre-Toddler Room. We begin centers in the Pre-Toddler room offering more defined spaces for child play and interaction. All toys are bright, age appropriate and engaging. At this stage, the children are beginning to interact with each other and this is a wonderful learning opportunity. Our teachers lovingly guide and teach the children to share and positively work and engage with each other. At Concord Children's Academy, we believe in positive reinforcement and guidance. Everything is a learning opportunity. We talk with the children, we engage the children and we encourage them to explore and expand their thinking patterns...even in the Pre-Toddler Room! In the Pre-Toddler Room, our loving and nurturing teachers will take the time to ensure that your child's physical and emotional needs will be consistently and affectionately met. We have a structured program of interactive play, both inside and outside, singing, learning to relate to classmates, exploring their environment, rest times, naps, diapering, feeding, washing and comforting. The schedule provides your Pre-Toddler with a sense of security and order in their daily lives. The schedule is flexible and will be adjusted to your child's special needs and parent requests ...no one knows your child like you do! You will receive daily communication from your child's teacher outlining the daily plan and detailing your child's day including feedings and diaper changes. Our goal in the Pre-Toddler Room is that we are loving, supportive partners with our Parents in the daytime care of your most wonderful child. We want to send your child home in the evening clean, happy, tired and ready for Mommy and Daddy time! Our Pre-Toddler Room utilizes several curriculums. Our base curriculum is Creative Curriculum, which is recommended by the NC Star Rating system; however, at Concord Children's Academy, we have gone beyond the base curriculum to offer our littlest children a more well rounded educational approach. We also offer Hear My Hands based on American Sign Language. Sign Language has been proven to assist with communication from the littlest babies through the older infant stage. Sign Language can ease the frustration that Pre-Toddlers feel when they cannot yet express their needs verbally. Our Pre-Toddlers have special use of our Sensory/Tactile Experience Room. Pre-Toddlers learn through stimulation and repetition. Our Sensory/Tactile Room is stimulation overload! There are lots of different textures, colors and sounds. The Sensory/Tactile Room is a unique, innovative, creative approach to Early Childhood education. 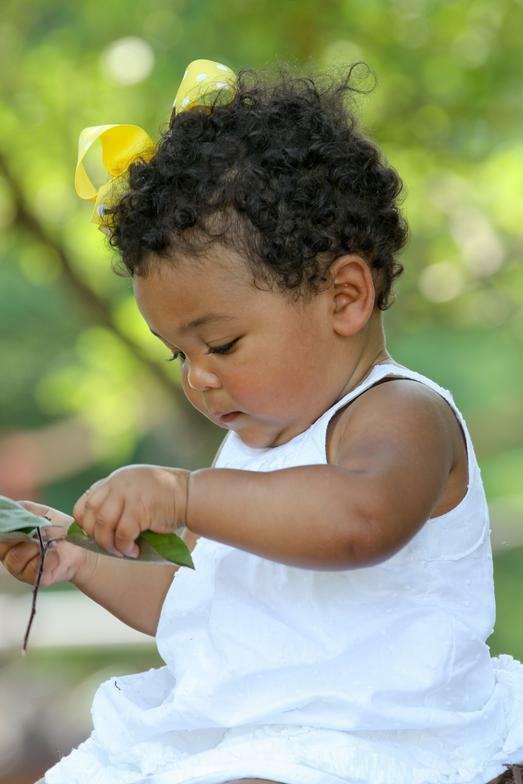 At Concord Children's Academy, we want our babies exploring, learning and happy! We also incorporate Yoga Calm into our quiet time routine before or after naptime. This is a quiet time with the teacher and children where they stretch with low, quiet music. Studies have shown that young children who participate in yoga exercises have improved sleep patterns, gas relief and aids in digestion. Our Pre-Toddlers participate in Art class. Our teachers work with your child learning to color, paint and create. As a parent, some of your favorite keepsakes will be created in the Early ChildPre-Toddler Room. We want to send you home with memories. At Concord Children's Academy, we believe that the Pre-Toddler age group is unique in that they are still babies that need to be loved, but they are also ready for challenges. This is our specialty! We love sitting down with the chldren at child level and exploring - everything is a learning opportunity for our littlest students! We hope that you give us a call and schedule a tour; we would love to show you our program!